Grilling is an ideal preparation method for vegetables: It is versatile, requires little fat and adds a new dimension of flavor to everything from eggplant to potatoes. Grilled vegetables can be served as a side or main dish, alongside grilled bread and flavored olive oil as a sophisticated appetizer; as a pizza topping; or chopped and used in sandwiches, wraps or omelets. Different vegetables require a slightly different grilling technique. The key, says the Vegetarian Times website, is to cut your vegetables into a uniform size and to place vegetables that require more cooking time on the grill first. Some vegetables may also need to be precooked briefly to ensure that they will cook through before burning. Light the gas grill. Use a barbecue brush to coat the grate lightly with vegetable oil. Turn the grill to high -- approximately 450 to 500 degrees Fahrenheit -- and allow to preheat for approximately 20 minutes. Fill a saucepan with water and bring it to a boil over high heat. 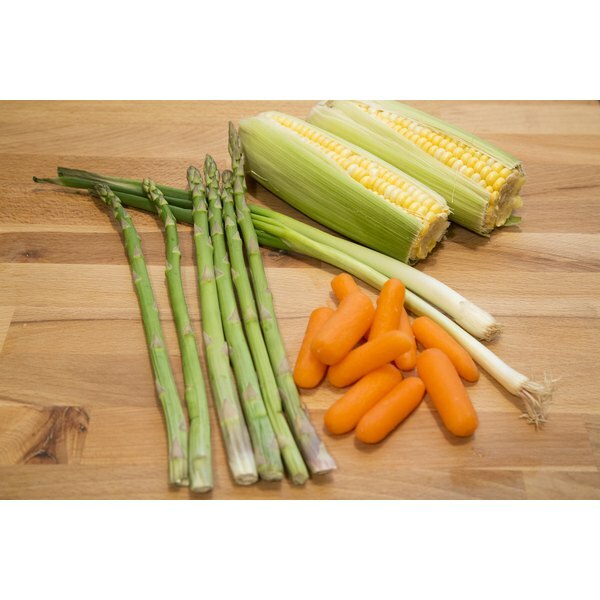 Add hard vegetables such as baby carrots, new potatoes or asparagus and simmer, covered, until just before the vegetables become fork-tender, approximately three to 10 minutes depending on the vegetable. Drain the vegetables in a colander or strainer. Prepare all the rest of the vegetables you plan to grill using a sharp knife. 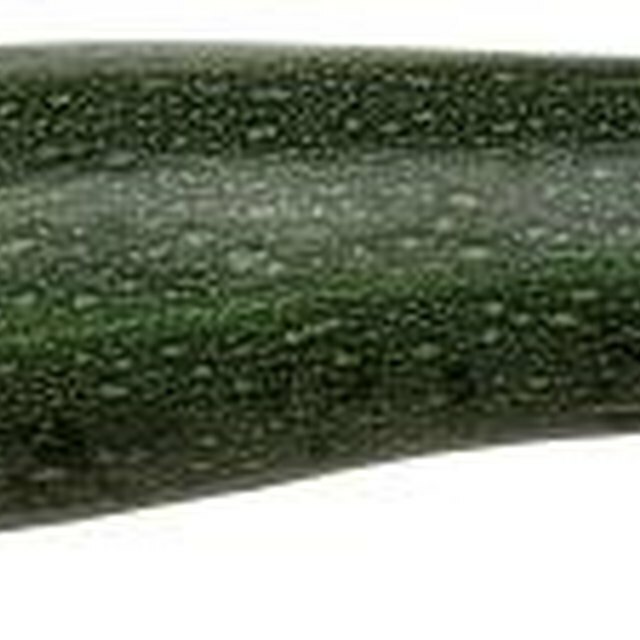 Cut long vegetables such as zucchini or squash into strips, onions and eggplant into thick slices and halve tomatoes. Leave bell peppers, corn on the cob, green onions and large mushroom caps whole, if desired. Reduce the heat on the gas grill to medium, or 350 to 400 degrees Fahrenheit. Brush the vegetables with olive oil. Use tongs to put the hardest vegetables such as corn and potatoes on the grill. Check the vegetables frequently to ensure that they do not burn. Add the thinner vegetables when the harder vegetables are browned on one side. Place thin vegetables like asparagus perpendicular to the grill wires so that they do not slip beneath the grate. Remove the finished vegetables with tongs and allow to cool slightly before serving. To get attractive grill marks on the vegetables, leave them undisturbed for at least three minutes, then shift them 45 degrees and allow them to continue cooking. Do the same on the other side. Season grilled vegetables with salt, pepper, minced fresh herbs or a drizzle of fresh lemon juice, olive oil or vinaigrette. If you're planning on serving a crowd, Fine Cooking recommends grilling vegetables in advance to free the grill up for preparing meat, poultry or fish just before it's time to eat. Keep grilled vegetables at room temperature for several hours, or put them in a shallow pan, cover them with plastic wrap and keep them in the refrigerator for up to two days. Vegetarian Times: Grill Like a Pro!